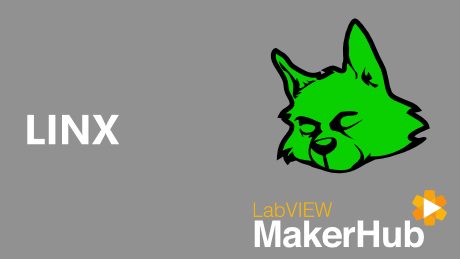 This tutorial describes the process for blinking an LED on the BeagleBone Black or Raspberry Pi 2/3 by creating a LabVIEW application that runs on the target using LINX. 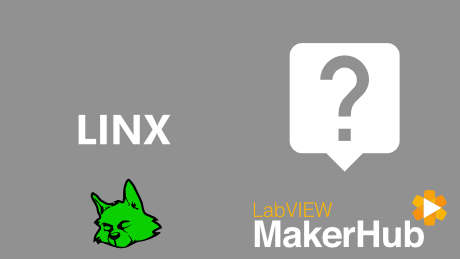 LINX Device that supports deployment such as BeagleBone Black or Raspberry Pi 2/3. Open example finder by clicking Help»Find Examples. Open LINX - Blink Advanced. Save a copy of the example to the desktop, name it Blink and close the original. Create a new empty LabVIEW project by clicking File»New»Empty Project. Choose to add the Blink VI to the project when prompted. Right click the top project item and choosing New»Targets and Devices. Choose New Target or Device, exapnd the LINX folder and select the appropriate target type. (Make sure to manually set the IP). Right click on the LINX target in the LabVIEW Project and choose Connect. Switch to the Block Diagram. Change the LINX Open from Serial to Local I/O and remove and broken wires. Save and close the Blink VI. 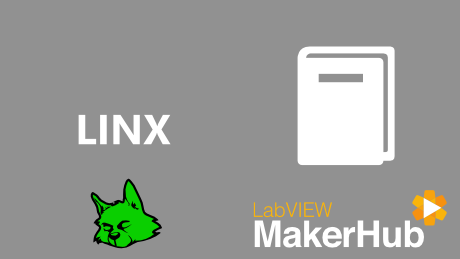 Move the Blink VI under the LINX target in the LabVIEW Project. Update the Digital Output Channel to match the DO channel connected to the LED.